Other BEA trips: Book Expo America 2009. I have so many things to post about this week’s BEA event at Javits in Manhattan. It was such a great couple of days running around, meeting authors, getting ARCs, getting excited for all the great things happening in publishing this year. It was overwhelming and awesome. 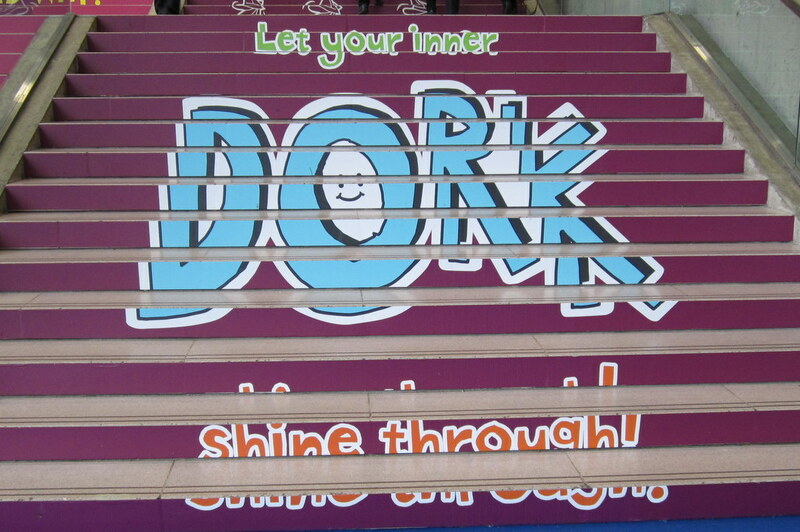 I thought these Dork Diaries stairs were fitting, and my 3rd grade girls are obsessed with this series. 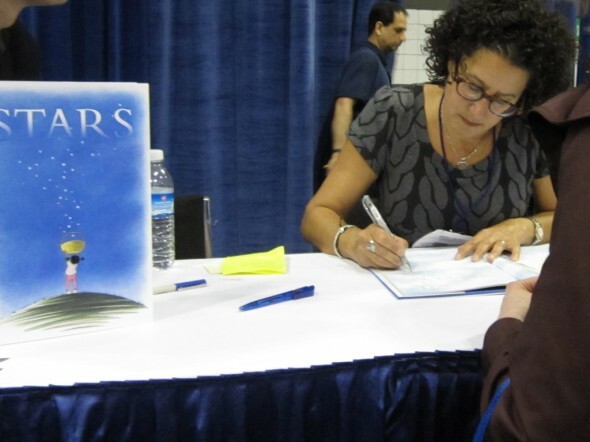 I met Marla Frazee! I met Marla Frazee! Her new book Stars isn’t out until October, and I has it. I think I’ll show this photo to my 1st graders, since we read Clementine and her Caldecott books. I am not ashamed of having my photo taken with Elephant and Piggie. 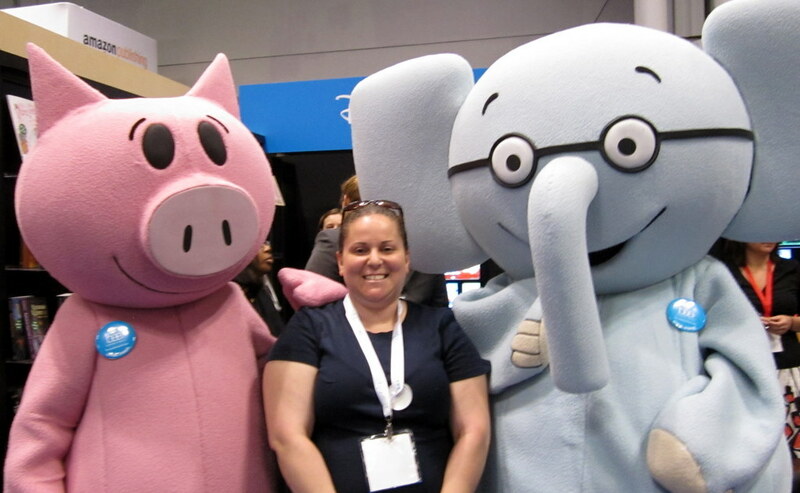 Not getting into the Mo Willems signings was one of my only disappointments this week. 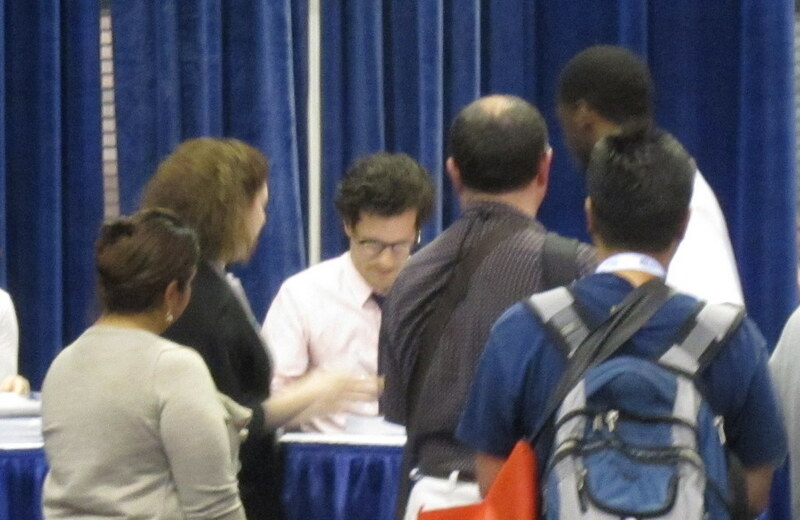 I saw Brian Selznick from afar, I also couldn't get into his signing. But an extremely nice bookseller from CA named Jeff gave me his Wonderstruck book AND bag. That floored me, because that book was the one thing I had to get this week. I can't wait to tell my 3rd graders that he's written another book like The Invention of Hugo Cabret. They'll be so excited, and since it's due out in mid-September I'm hoping to get a whole bunch of copies for them this fall. 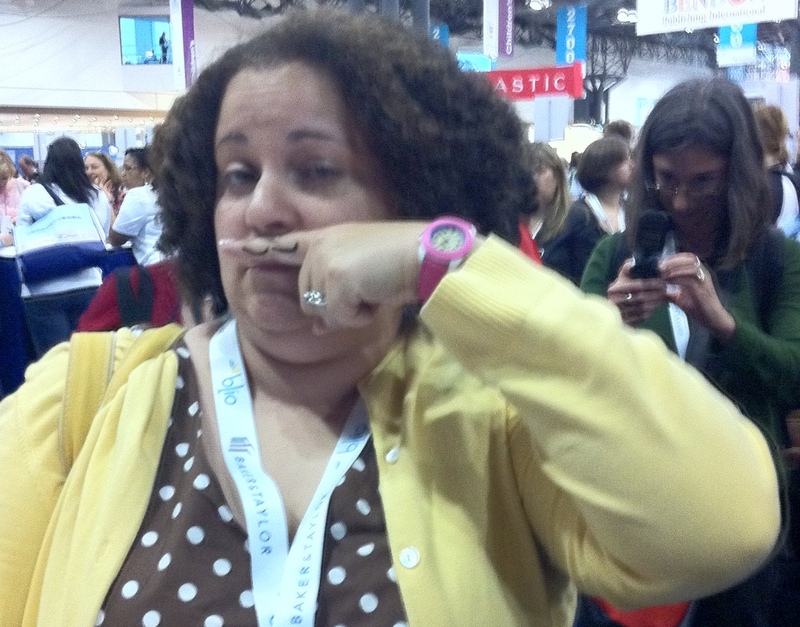 I posed for a finger mustache at Mac Barnett's signing of his new book Mustache, due out in October. He was a lot of fun, and I love his books. So do the kids. I really do love this event. Getting to know the authors, hearing about their process, their programs for kids, it’s all wonderful. I’m fueled for next year, with lots of new ideas for incorporating these books into my collection and lesson plans, possible author events, ebooks. That’s it for tonight, but I’ve also got some great YA stuff to share (for fun), an endless assortment of fabulous books to look for this fall, and details about the whirlwind Children’s Author Speed Dating event I attended.